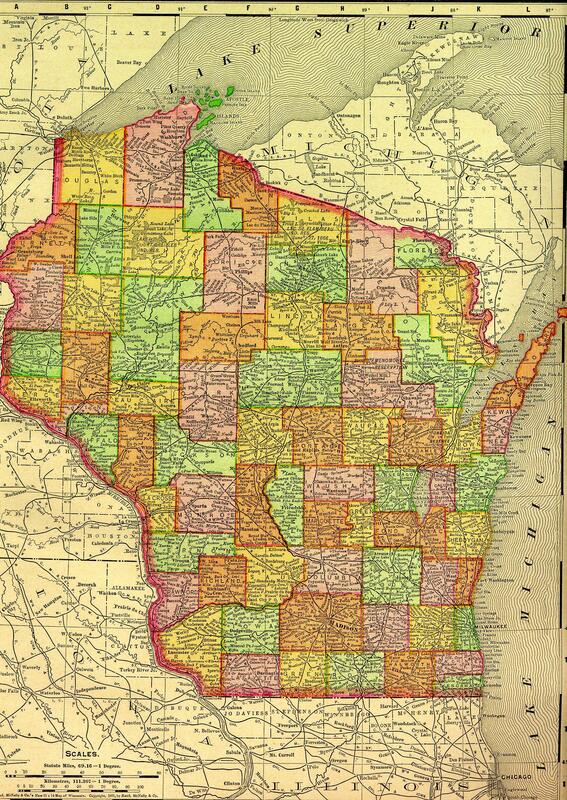 Introduction--"The Acquisition of Public Land"
1882 Wis. Atlas & Plat Map. 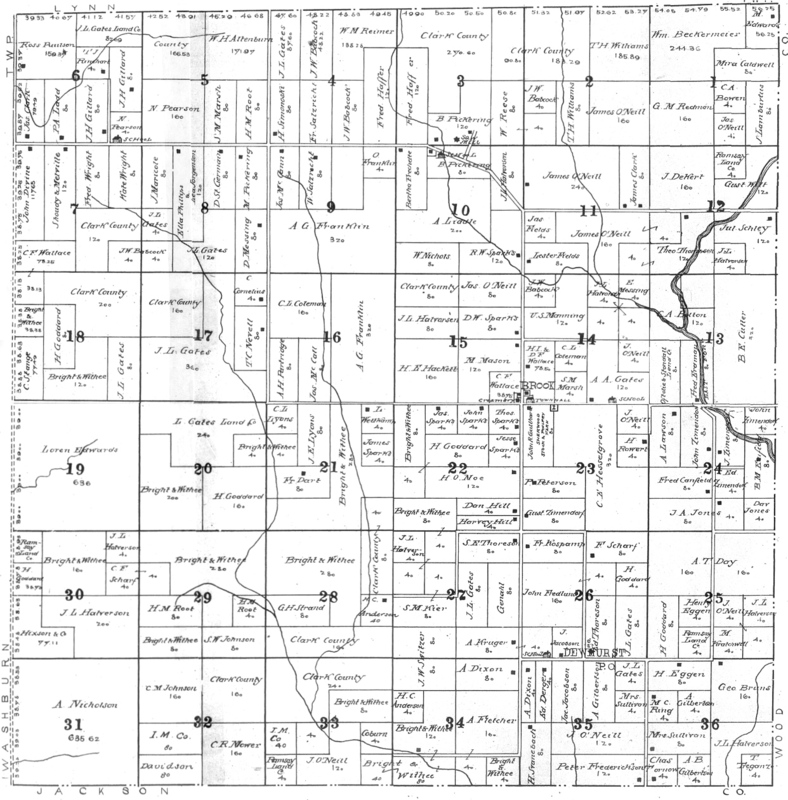 1915 North-Central Wisconsin Soil Map. 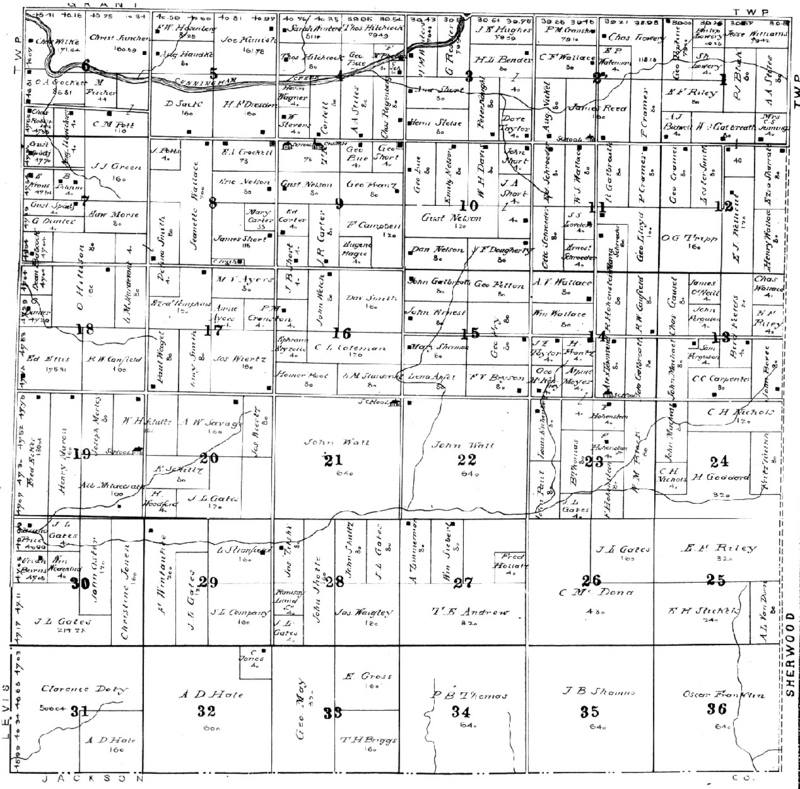 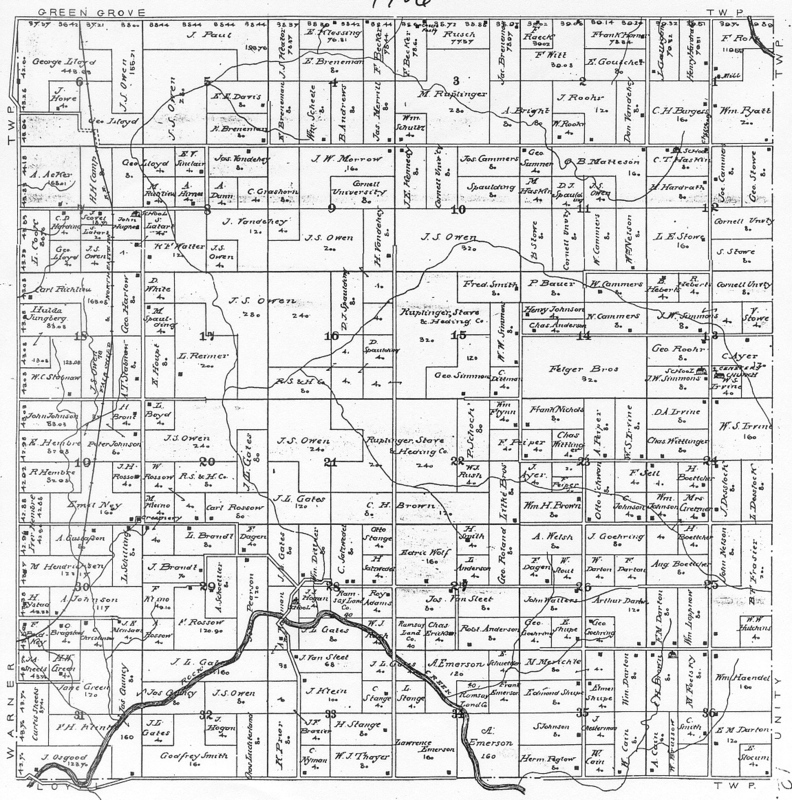 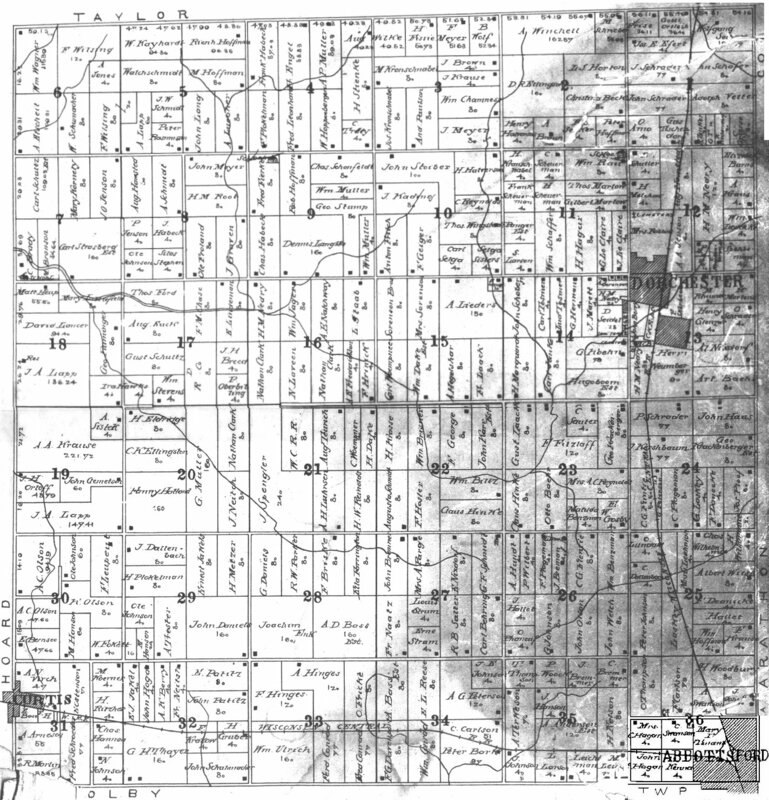 1854 Clark Co., WI Township Map. 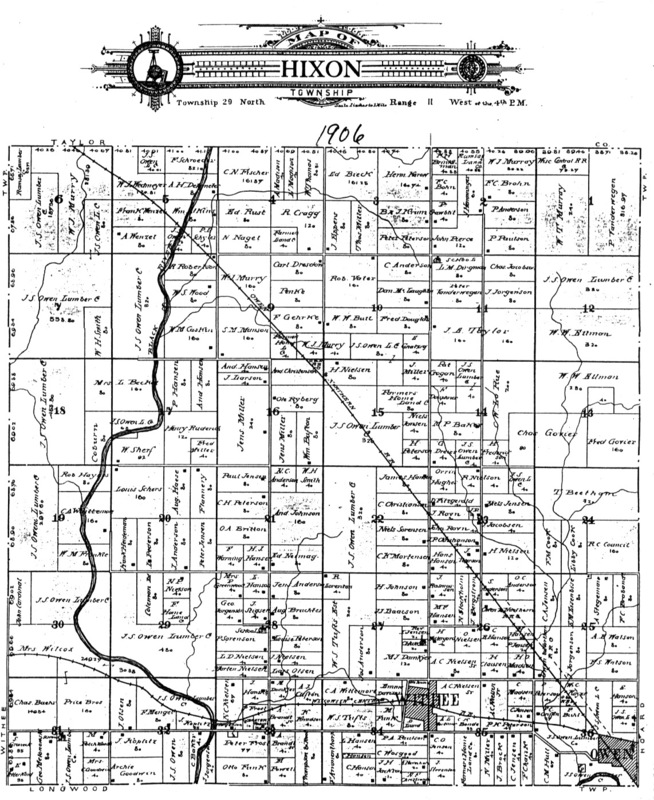 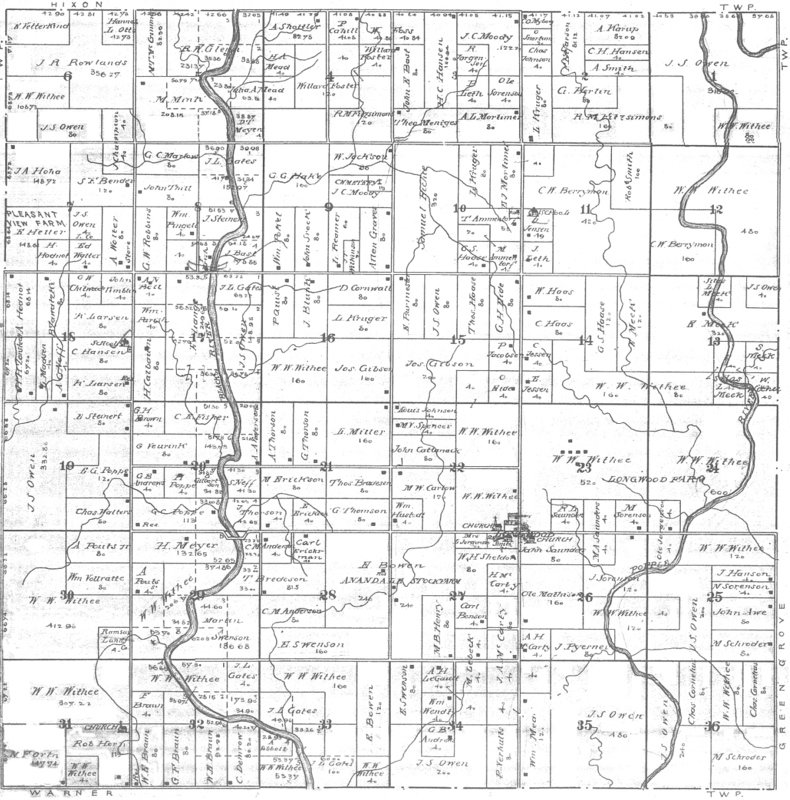 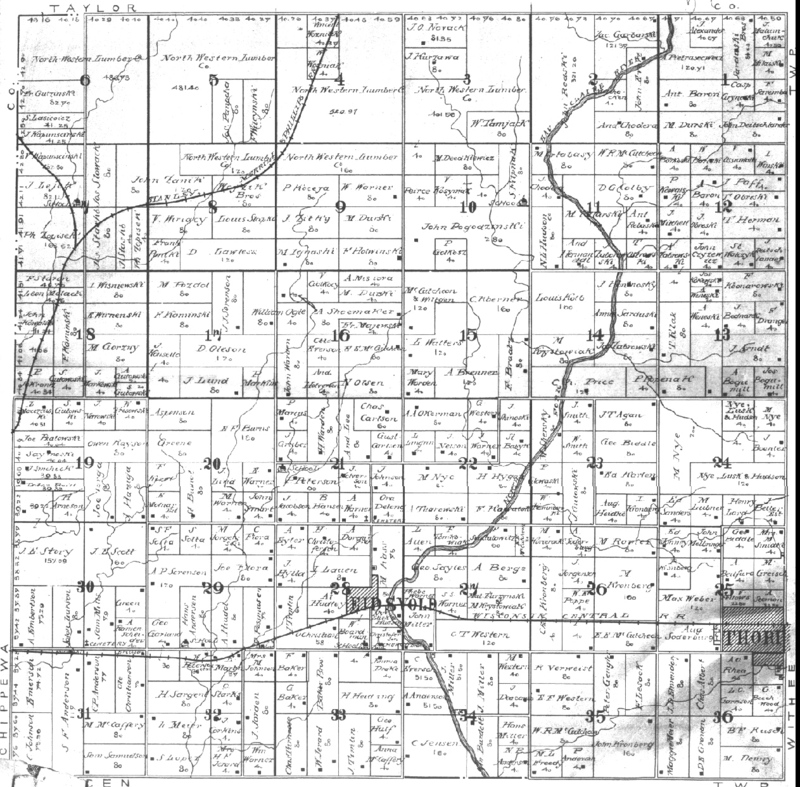 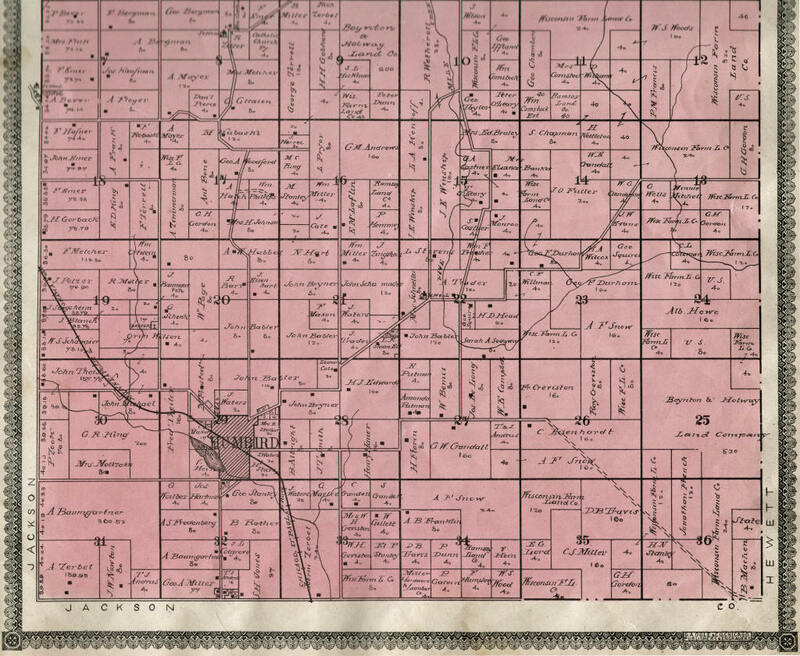 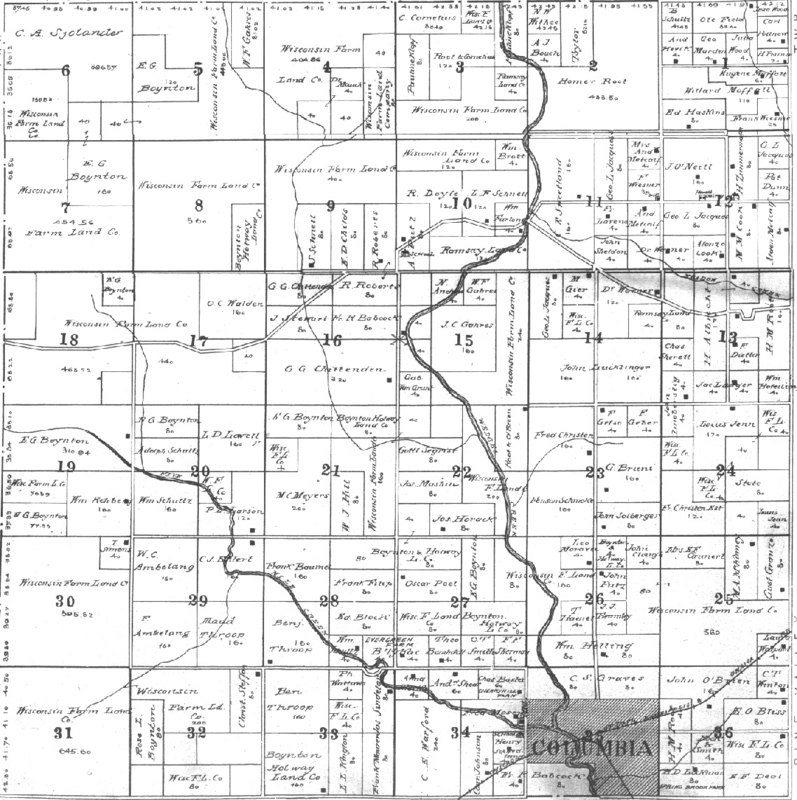 1857 Central WI (when Clark County was much bigger! 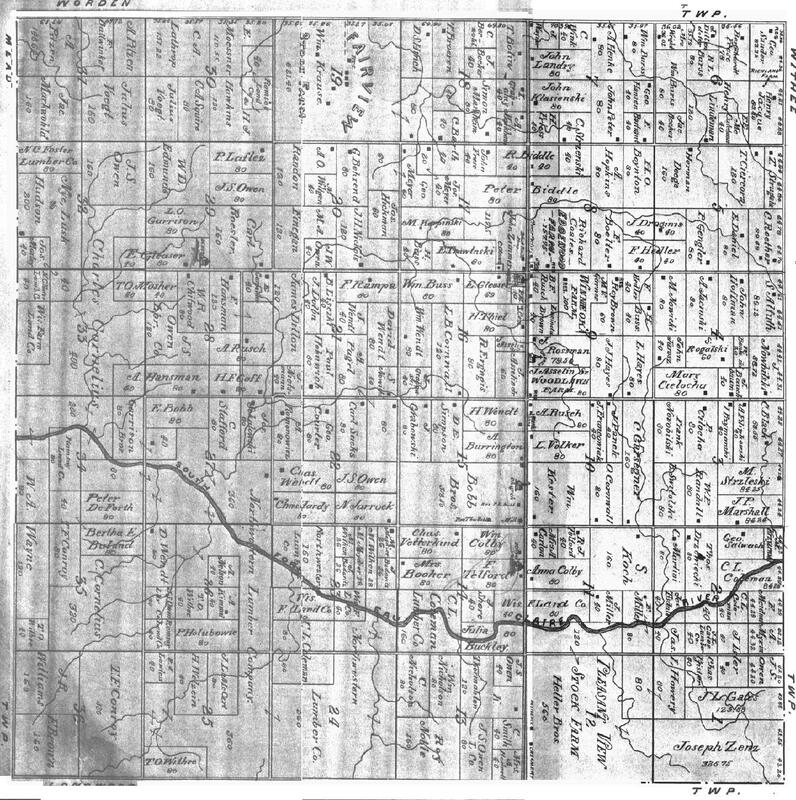 ); Enlarged Copy; contributed by Pat Phillips. 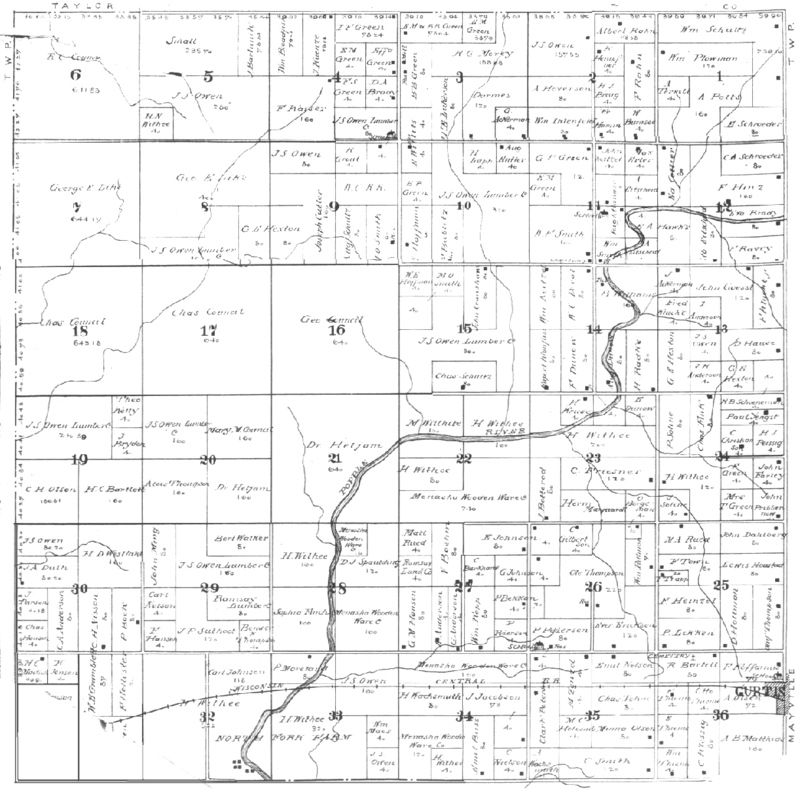 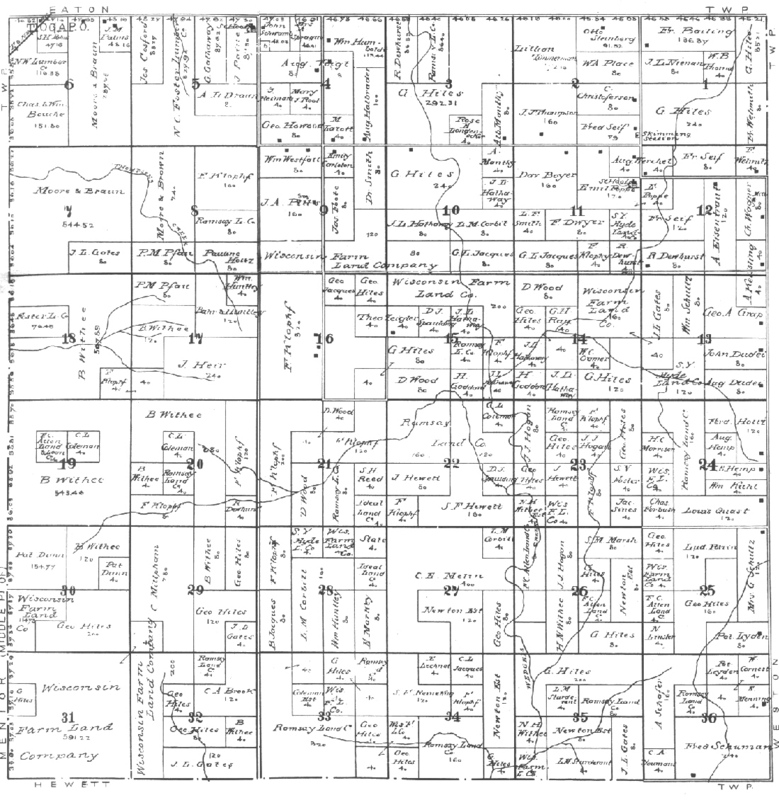 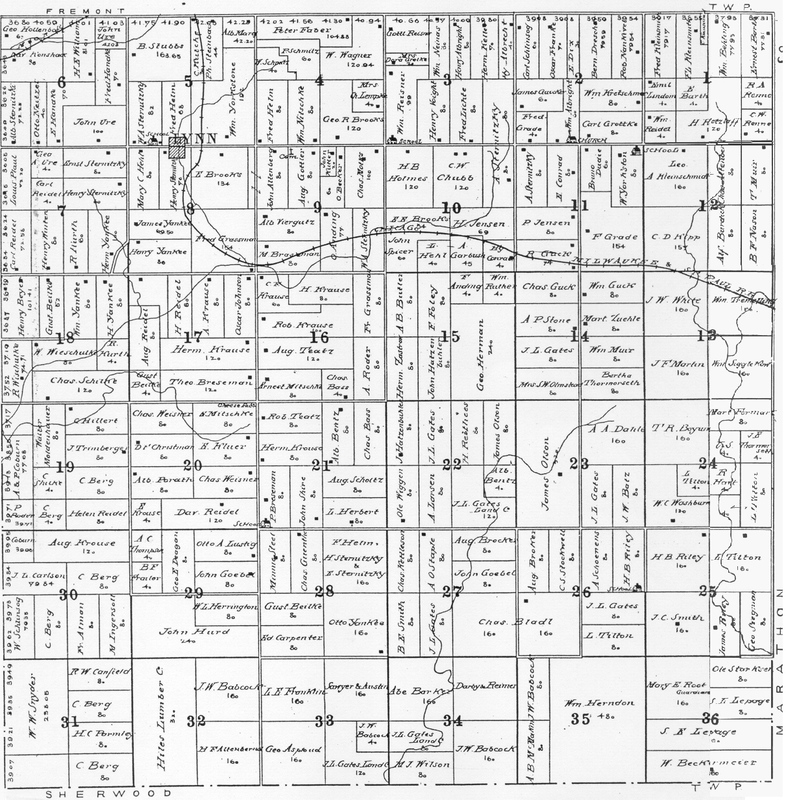 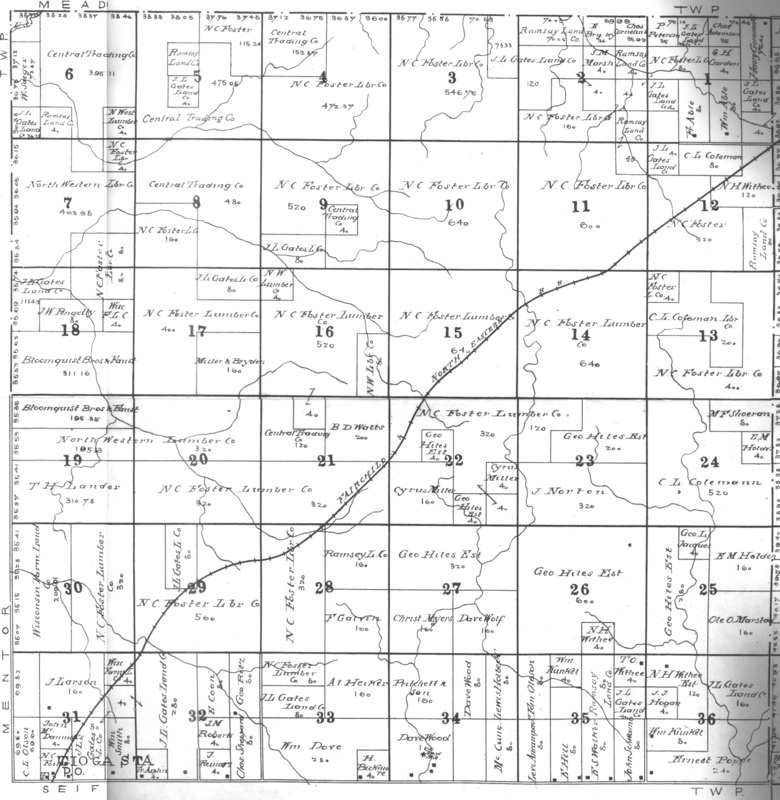 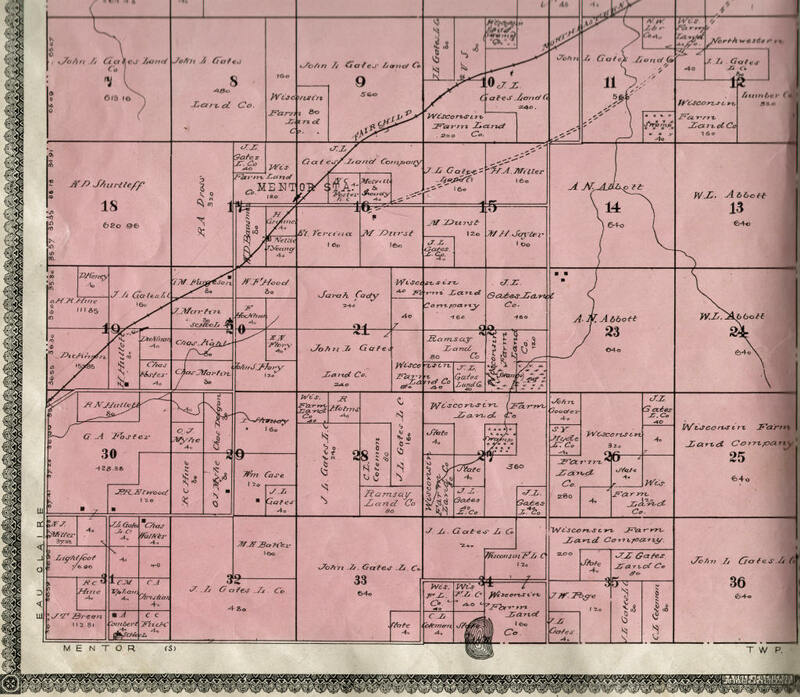 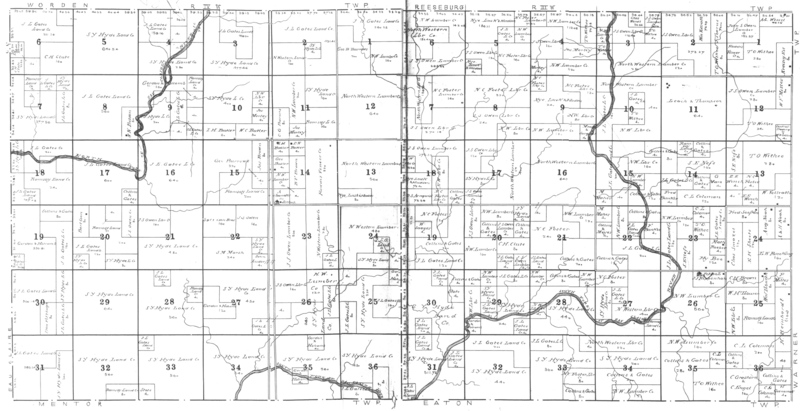 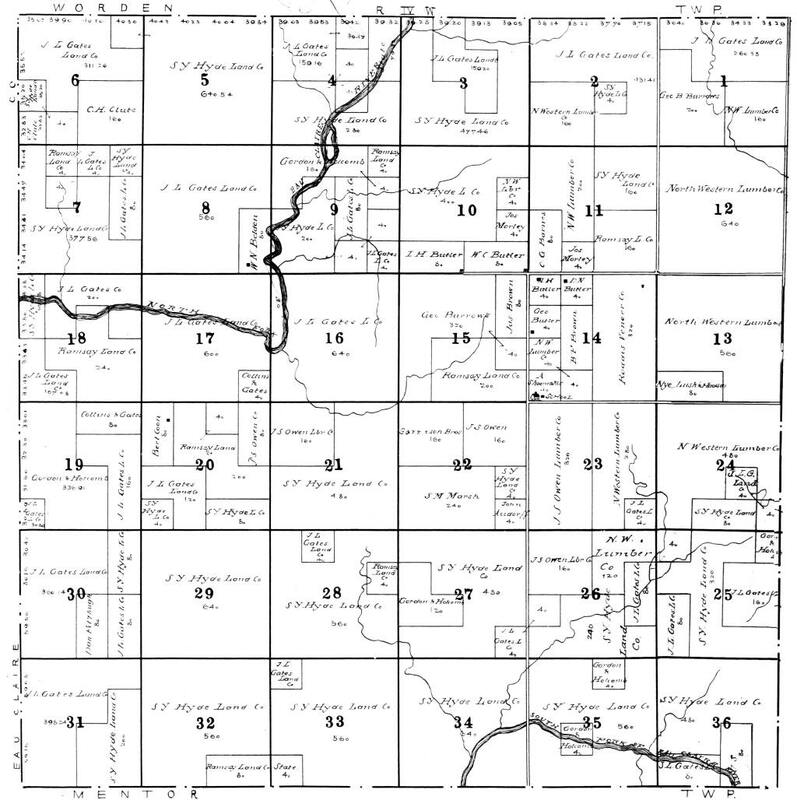 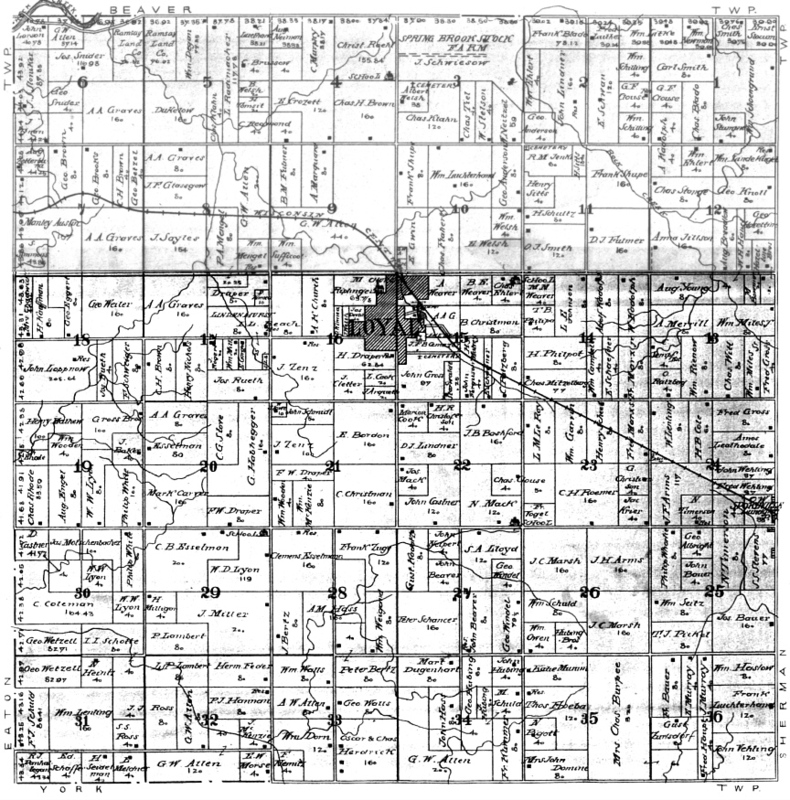 The Clark County Map Changes (1856 - 1874). 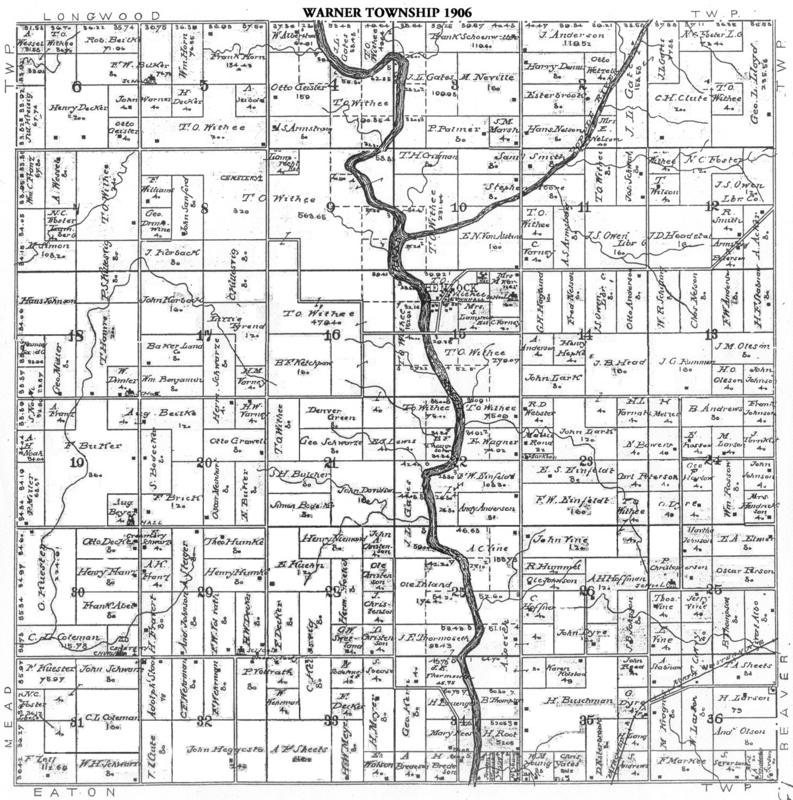 1871 Minnesota/Wisconsin RR; Enlarged Copy; Pat Phillips. 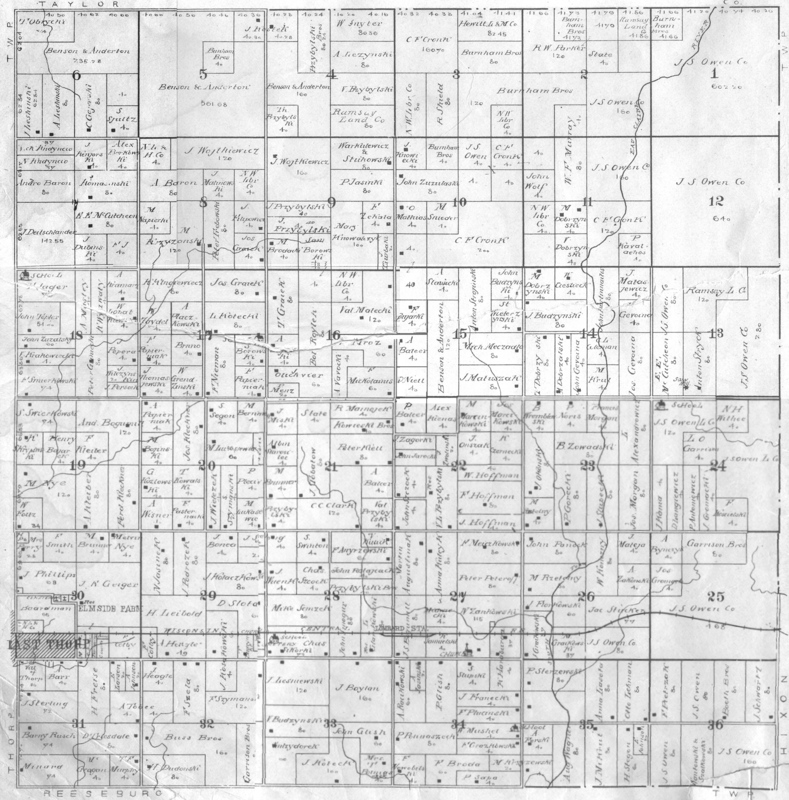 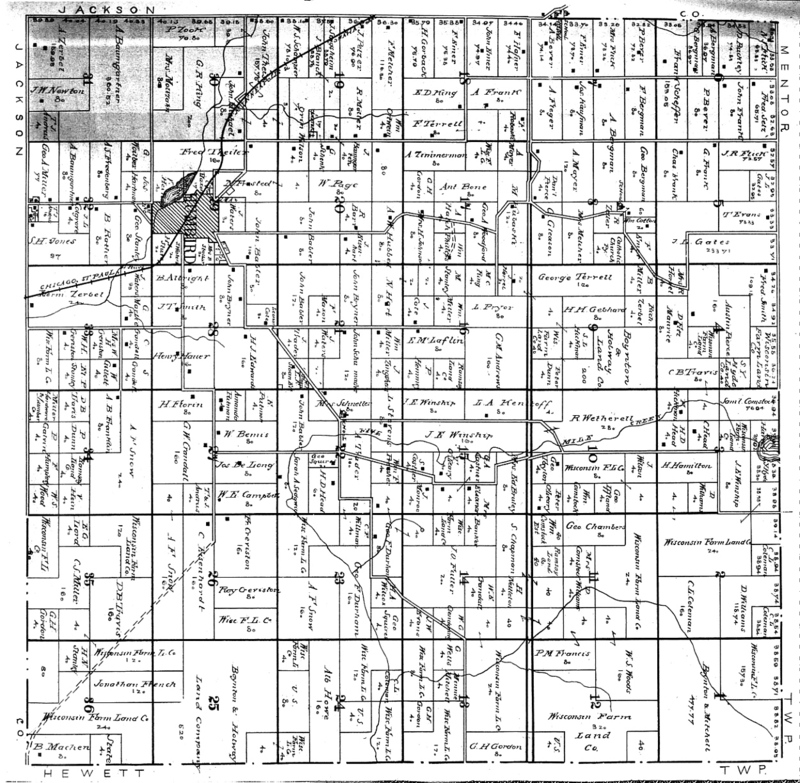 1895 Rail Road Map; Enlarged Copy; contributed by Pat Phillips. 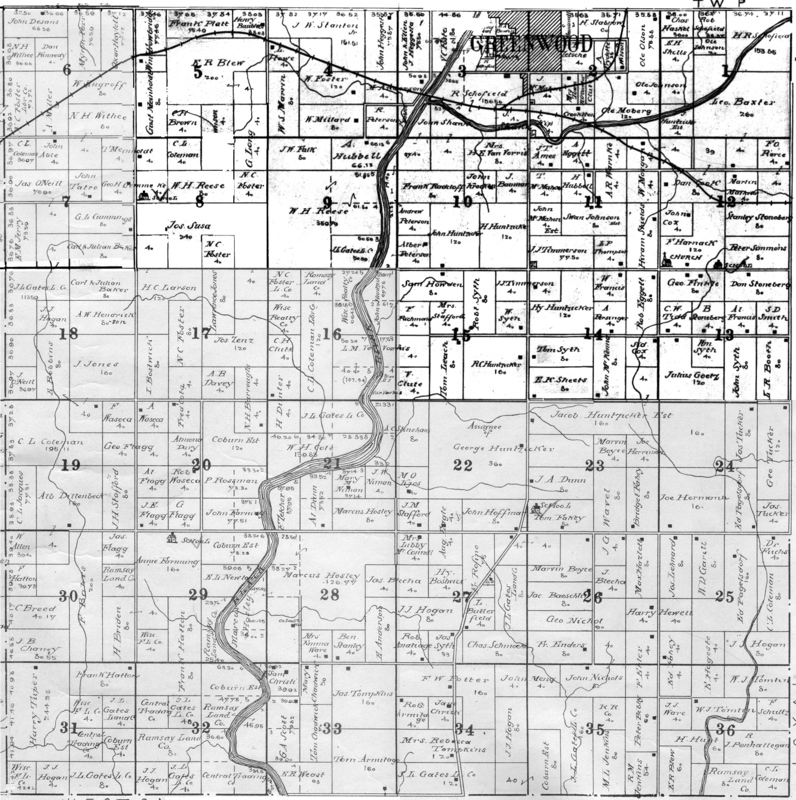  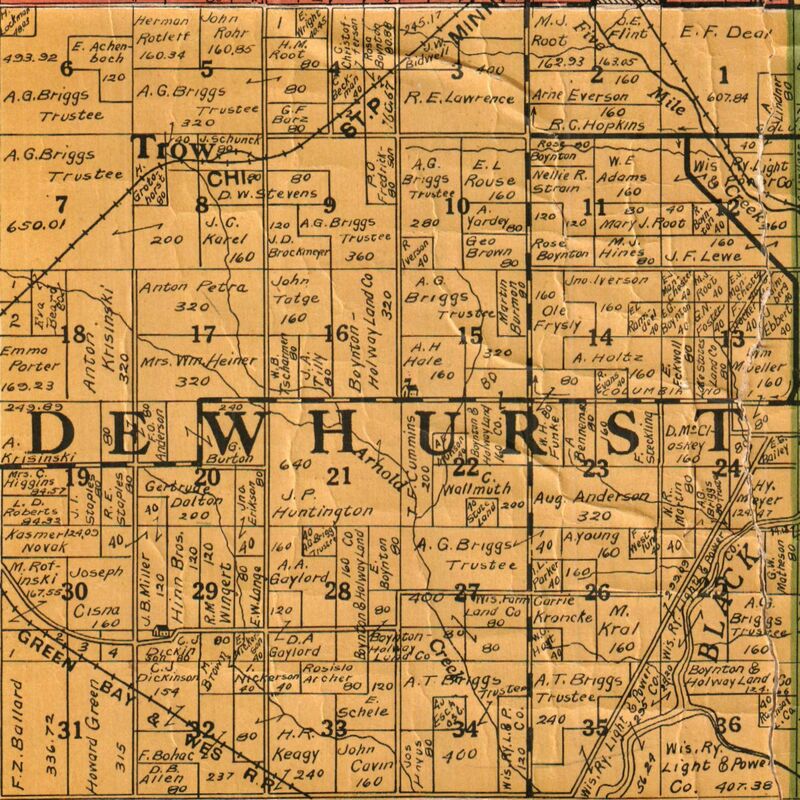 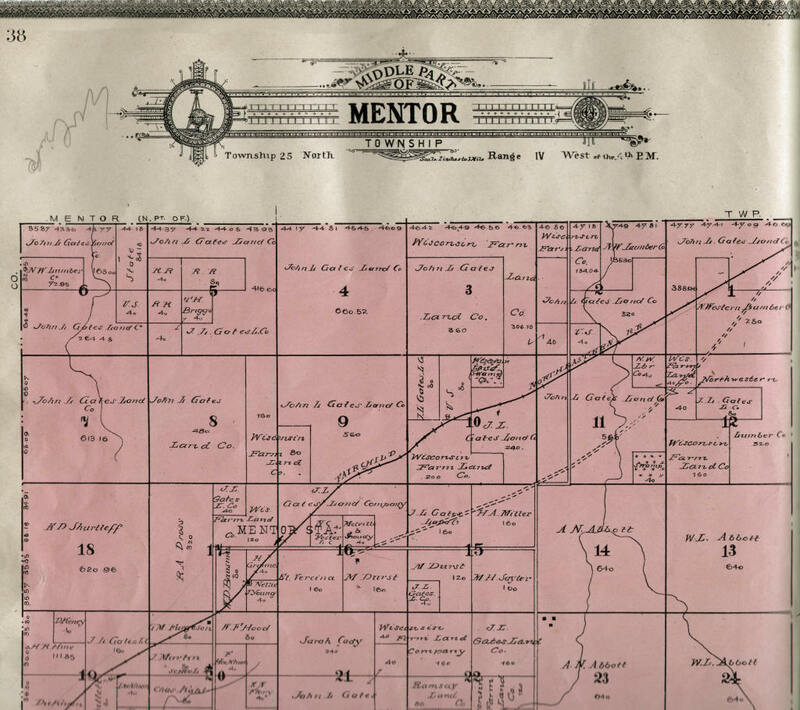 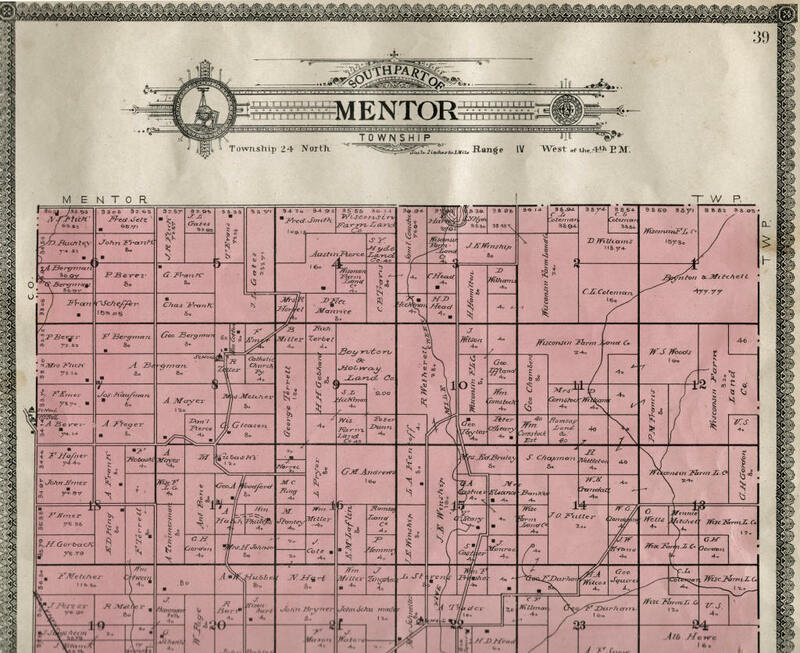 1906 Atlas & Plat Book--Cover, Beaver, Butler, Colby, Dewhurst, Eaton, Foster North [part 1] [part 2], Foster South [part 1] [part 2] *at this time Foster was the northern 2 townships of Mentor, Fremont, Grant, Green Grove, Hendren, Hewett, Hixon, Hoard, Levis, Longwood, Loyal, Lynn, Mayville, Mead, Mentor, Pine Valley, Reseburg, Seif, Sherman, Sherwood, Thorp, Unity, Warner, Washburn, Weston, Withee, Worden, York.